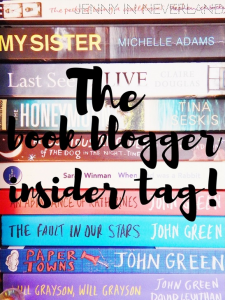 Jenny from Jenny in Neverland posted this tag a while ago now (here is her post) and left it open for any other book bloggers to have a go, so here I am! Thanks Jenny! People not returning books I lend to them. 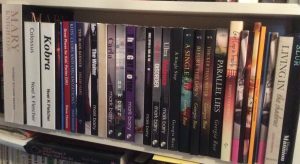 People telling me they never buy books but will just borrow someone else’s when they have finished with it, when I am sitting on a stall selling my books, although of course I smile sweetly in understanding. On holiday, or actually any time I am away from the house (where I work as well.) Here I read last thing at night and first thing in the morning (I set my alarm early just so I can do that) at both times I’m a little dozy. However when I’m away from the house I can read for hours and can often get through a book a day and it is blissful! When I was a child I turned over the corners of pages instead of using a book mark – don’t, I can hear your gasps from here! I don’t enjoy reading Shakespeare. I studied it at school and understood what was going on when I had the teacher deciphering it along the way but I’ve never fancied struggling through it since. Not sure if this is a confession but I feel guilty that I’ve never read any Dickens (I have all his books! ), and I feel as if I should have done. When I got to the end of The Horse Whisperer. I was on holiday, on my own, on the terrace, late at night, unable to put it down. Well, in my perfect world, where I can eat anything and never put on weight, chocolate, or chocolate covered biscuits. In the real world I don’t snack on anything, mainly because I’m usually in bed! I shall have a good think about this and add something if it comes to mind but right at this moment I have drawn a blank.